Webinar presentations will focus on cutting edge advancements being made that inform new treatment models, pharmaceutical development, and research taking place. 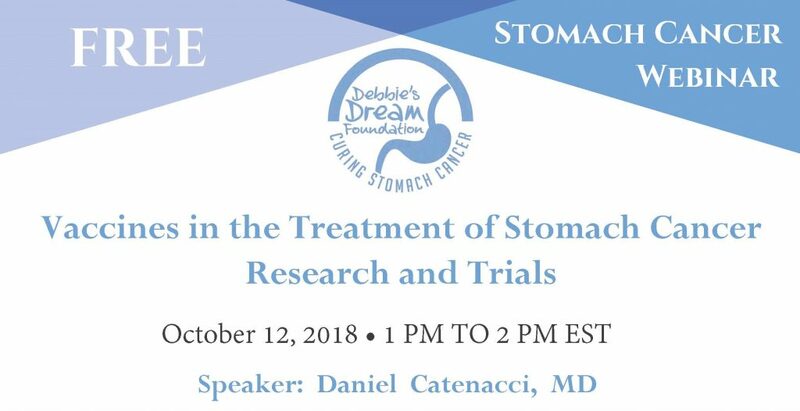 Each webinar will feature experts in stomach cancer research, clinical trials, oncology, and surgery. Attendance is via live webcast. Archives of the webcasts will be posted on our website year-round along with question and answer sessions with expert responses.